Fashion Maven... Mommy: Love is GLOWING! Well Pixi has done it again! Surely you've heard me rave about their Glow Tonic right? Well meet the Glow Tonic's BFF... the Glow Mist! It was love at first spritz when this beauty met my skin! Glow Mist is an all-over face mist for a glowing, luminous and smooth complexion. It's enriched with 13 natural oils plus propolis, aloe vera and fruit extracts. There are many wonderful uses for this beauty! I keep it on my nightstand and like to apply it before bed as well as when i wake up simply because i love that it leaves my skin feeling so refreshed and renewed. However, you can use Glow Mist before makeup to hydrate, protect and nourish your skin. You can also use it to set your makeup as this beauty adds a dewy finish while protecting skin. In actuality, you can use it just about any time your skin needs a little 'pick me up'! I'm thinking this baby is probably wonderful on long airplane rides! I don't know about you but my skin needs major hydration when i travel! Glow Mist has certainly earned prime real estate on my nightstand... right next to its BFF! Lets chat makeup! In keeping with our 'glow theme' Pixi's Fairy Dusts are so much fun to use! They add just the right amount of sparkle to even the simplest of makeup looks! I love swiping Olive Gold across my lids while dabbing Silver Glow in the center. I also love to dab a little in the center of my lips (over my lipstick) for a little extra dimension! Oh and here's a tip, use a damp liner brush dipped into the pigment to trace your lash line! Yep, they can be used as eyeliner! In fact, i love doing this to my lower lash line! I never leave home without at least a couple of my Tinted Brilliance Balms in my makeup bag! They're just so easy and feel amazing on my lips! On harsh winter days like today, i love reaching for these yummy balms because they add a hint of colors while ensuring that my lips remain soft and hydrated. They're packed with lip-loving ingredients making them a year round makeup bag staple! Check out Lucent Glow... it's a gorgeous luminous gloss-finish rose gold shimmer! Lovely right? OK it's no secret that i have a slight obsession with nail polish! OK OK so maybe it's more like a major obsession but there's nothing better than a great mani! 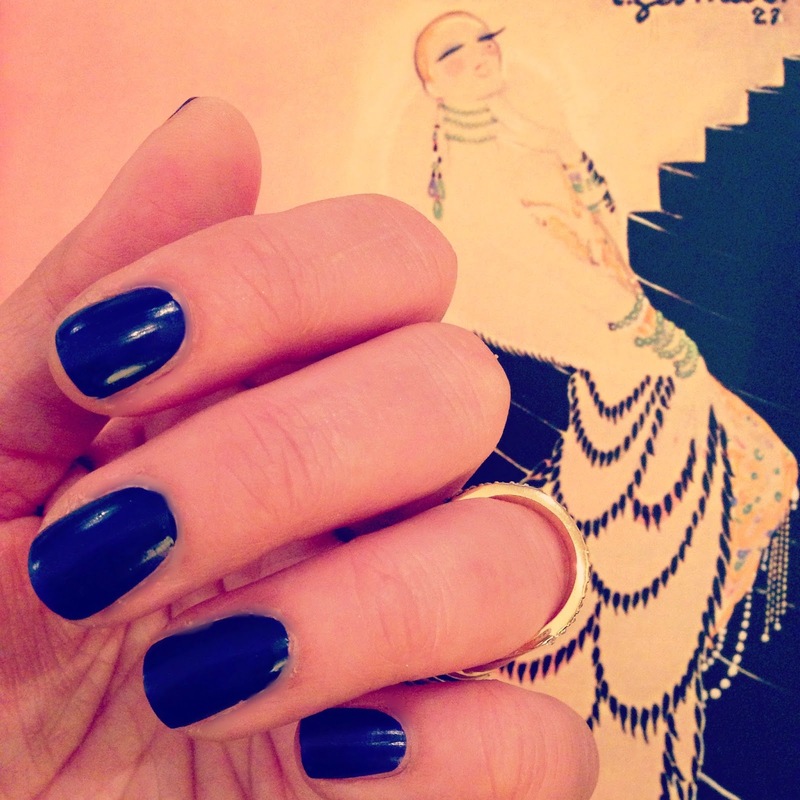 The right polish makes a world of difference and for quite some time now, i find myself very attracted to deep blues! Pixi's Amethyst Amore is sooooooooo me! Seriously, it's as if the beauty brains at Pixi decided to custom make a nail polish for me! The limited Edition Amethyst Amore is a rich, elegant and regal royal blue with a purple undertone and i promise it will wow you! A few swipes of this baby and your nails will smile for days! This is part of Pixi's 2015 Birthstone-Inspired Nail Color which I'm loving thus far! I'm excited to see all the wonderful hues Pixi creates each month!